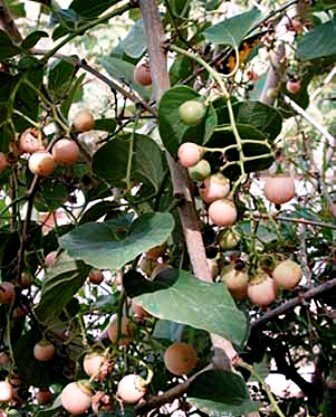 Otayita is a fruit from Africa. It occurs nearly all over the continent at medium to low altitudes, in woodland, savannah and bush, in warm and moist areas, often along riverbanks. This tree is also planted in coffee plantations as a shade tree. 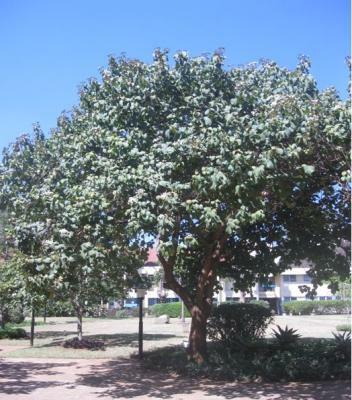 A small to medium-sized evergreen tree, 4-15 m high, heavily branched with a spreading, umbrella-shaped or rounded crown; bole typically curved or crooked; bark greyish-brown to dark brown, smooth in young trees, but soon becoming rough and longitudinally fissured with age; young branchlets with sparse long hairs. Leaves alternate, simple, ovate to subcircular, 7.5-17.5 (max. 30) cm long, 3.5-10.2 (max. 30) cm broad; thinly leathery; dark green above, paler green and velvety below; with prominent parallel tertiary net-nerves (about 7 pairs of lateral nerves); apex broadly tapering or rounded; base rounded to shallowly lobed; margin entire; petiole slender, 2.5-7.6 cm long. 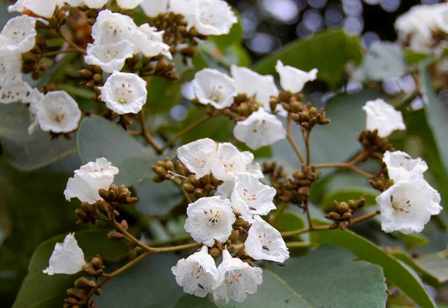 Flowers bisexual, white, sweet scented, shortly pedicelate or subsessile, massed in compact panicles covering the crown, with a white mass of attractive flowers; calyx less than 1 cm long, strongly ribbed, back of lobes covered with short, soft, brown hairs; corolla lobes crinkled, white, long-exerted, funnel-shaped, about 2.5 cm long; cymes many flowered. Fruit a drupe, smooth, spherical, oval tipped, fleshy, 1.3-1.5 cm long; green when young, yellow to orange when mature; with a sweet, mucilaginous pulp and short remains of the calyx at the base. Seeds 2-6, which lack endosperm. The mucilaginous fruits of otayita taste sweet and are fondly eaten by children. These are eaten by all when there is shortage of food. The wood from trunk is considered to be very suitable for making drums. The wood is used for several other purposes too e.g. making furniture, beehives, boxes, mortars etc. Most trees of otayita are wild. Though this tree is not cultivated for fruits, but it is planted are coffee plantations for shade. New trees are raised from seed. 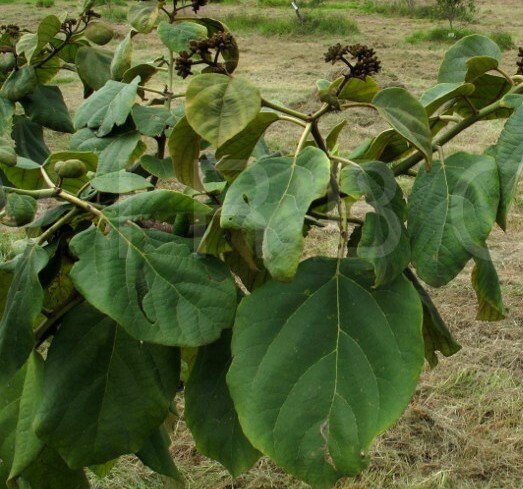 Otayita is a quite hardy plant and does not require any special care. So once established, the trees are left to nature. Otayita trees are, however, sensitive to frost. So care should taken in planting these at such locations only which remain free from frost during winter.